This position is now closed. 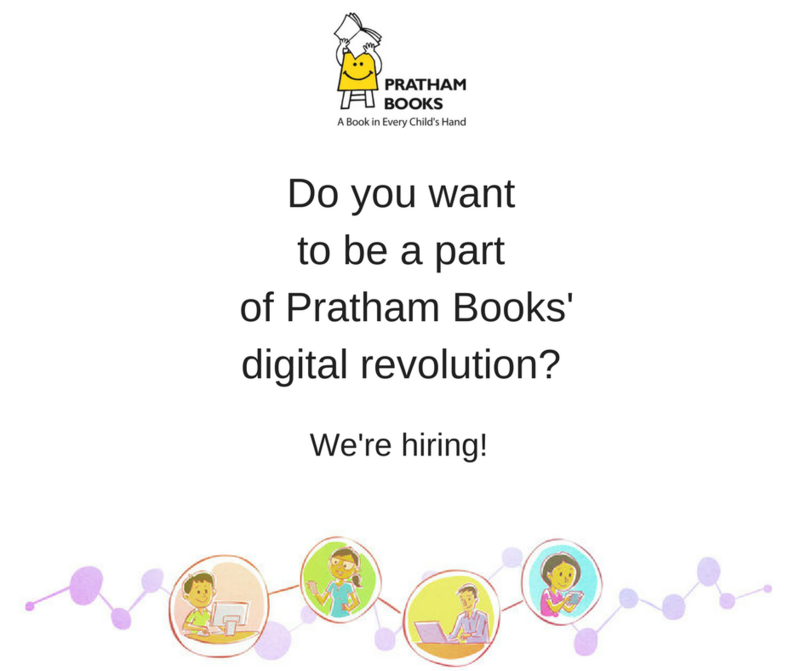 Do keep following us on Social Media for news on other openings on the Pratham Books team. In the last 3 years, we have invested deeply in technology based initiatives to further our mission. We are now looking for an experienced Product Manager that can lead our digital projects as we significantly scale these initiatives. Pratham Books has two digital platforms - StoryWeaver and Donate-a-Book. 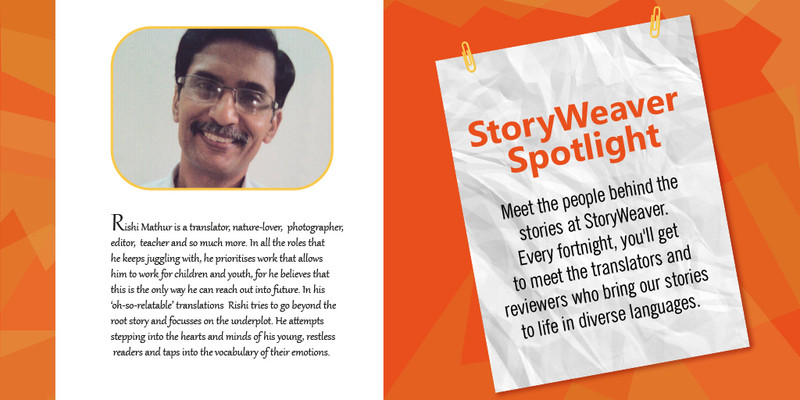 Storyweaver is a digital platform that hosts stories in languages from India and beyond, so that every child can have an endless stream of stories in her mother tongue to read and enjoy. The stories can be read, translated, versioned or downloaded for free. All stories on the platform are openly licensed and the goal is to open source the code as well. In just one year, StoryWeaver has scaled from 800 stories in 24 languages to 2800 stories in 59 languages by engaging with a community of users. We want every child to have access to quality reading resources in their own language. Donate-a-book from Pratham Books is a unique, crowdfunding platform that helps raise funds for organizations that want to build children's libraries. We are looking for a passionate individual wanting to make a difference, one who believes that technology can be a powerful enabler in creating equitable access to resources. This role requires a seasoned manager and technologist who can work effectively, both independently and collaboratively, in a team environment and deliver the project in a timely manner within allocated resources and budgets. The Product Manager will play a strategic role in defining the product roadmap, translating it into detailed requirements and developing a roadmap for delivery. S/he will work closely with the domain, outreach and content teams to define the user requirements which will guide feature development. All aspects of managing the project including the RFP process, vendor selection, hiring of people, documentation and project delivery will be managed by the Product Manager. The position will report to the Head of Digital Projects but also requires working closely with the top management. In a 3 year time-frame the project outcomes are expected to scale by 10x and the Product Manager will play a critical role in ensuring the smooth functioning of the platform at this scale. Most importantly the person needs to be an out-of-the box thinker and should be a strong believer and propagator of use of open technologies. Be an evangelist in the tech community to build awareness around the platform. Location: This role is based out of Bangalore and is full-time. The project is expected to complete within a 3 year time-frame. I can read anything that I come across, but content on ‘how things evolve or change’ draws me most, whether it’s covered in philosophy, psychology, spirituality, life sciences, cosmology or for that matter, fiction, which I’m a bit sceptic about, in English. Q: Is there a favourite book / author and why is it a favourite? 'The Prophet' by Khalil Gibran for its profound thought on the basics of life, and simplicity of expression. 'Origin of Species' by Charles Darwin for the way he connected his observations with the realities of the natural world bit by bit to create this ‘enormous whole’ of knowledge. 'A Brief History of Time' by Stephen Hawkings for the way complex phenomena are explained with such clarity therein. 'Conversations with God' sequence of books by Neale Donald Walsch for the style and utility as manuals of spiritual understanding. 'Manwatching' by Desmond Morris, whom I’ve always deemed as my master in absentia, for the rich scientific study in non-verbal communication it is. And all the books by Osho, the great master, whom I could never meet. Though I learned a lot from his mate Dowser S Bhan of Nepal. A: Fantastic! Working for the young readers is always a joy! Wish, it continues as long as I can think and see. A: Nice. But, anticipating another one in my inbox for translation feels a lot better! A: Ladle ka Dhol, the very first I translated still tops the list of my favourites. Also developed a special relationship with the Brahmaputra, as I travelled into Tibet through its text! Q: What is your key driver in taking up these translations? A: Frankly speaking, being a communicator, I do feel ‘something for all languages,’ but I’m more bent towards the non-verbal aspects, so the key driving force behind translating books or writing something is usually for having the remittances credited into my bank account. A: We can. Through greater and more informal outreach programme. I am really grateful to Pratham Books for giving me an opportunity to interact with young readers in the Pink City during Jaipur Literature Festival. Sharing in person, live interactions by people from the publishing trade can take literature and readership farther than anything else. Q: How has the overall experience with SW been? The overall experience was good. It was especially nice, because of the great motivation offered by the Pratham Books' team who sounded hard-pressed for deadlines even on Sundays, making me work odd hours at breakneck speeds, making me feel more alive and kicking than I actually am? Q: You wear many hats - which one is your favourite? A: I’ve always been a nature lover, and will always be one! But being in the field of communication, I had to yield different tools during different phases of my career, more so for survival than anything else; starting with illustration work for a newspaper, to photography, project documentation for NGOs, new-reporting, editing, television production, research, teaching, translations, and even writing SOPs for students applying for overseas education and finally counselling. Working with children is best, and working for them is next!